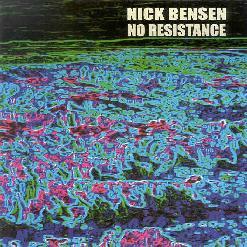 Nick Bensen - "Psychedelic Juggernaut" / "No Resistance"
Nick Bensen is a San Francisco based musician who plays a variety of songs and instrumentals rooted in psychedelia but also including prog rock and pop influences. On both CD's Nick plays all the instruments himself. Among the highlight tracks on Nick's first release, Psychedelic Juggernaut, is "Ghost Waves", an intense instrumental that blends progressive rock and heavy psychedelia. An intriguing combination of acidic and symphonic rock. "The History Of Rock & Roll" takes a stylistic 360 degree turn, being a simple tune with a powerful message. The first verse says it all... "The history of rock & roll, That dirty industry, The touching human toll, The pop-star majesty". "London District Atlas" is an instrumental with a poppy proggy crossover feel. It's got an almost dancey techno beat, but I dig the sitar and keyboard sounds. "Driving Obsession" is a spacey prog rock instrumental that reminds me a lot of Quarkspace on their Spacefolds series improvs. It's got that space funky feel that gets your toes tapping and is mucho cosmic. More cool ripping guitar work. "The Answer Withheld" is similar, and with a comparable keyboard style to Quarkspace. But it isn't until "Let Op!" that Nick gets deep enough into psychedelia to warrant the Juggernaut title. It's an acid minstrel style song very much like the Bevis Frond play. Really nice guitars. And oooooh... dig the crunchy tripped out wah guitar and freaky efx on "Portland Is The Place". Heavy heavy psych, almost doomy, and again has a bit of that proggy feel I'm detecting in much of Nick's music. Finally, the guitar fun continues on "Monolith" as Nick layers on the guitars, jamming into oblivion with clones of himself. Nothing special... just a solid jamming psych guitar tune. Lots of good stuff on this CD, the only drawback being the electronic drums and some of the keyboards which gave the music a bit of a primitive sound. On No Resistance we hear Nick having found a more determined direction and a much better recorded work. The vocals and especially the keyboards have clearly improved sound and production values which make it a more enjoyable listen as a psychedelic album. After a short dark rumbling intro Nick launches into "Rokery Lighter", a somewhat whimsical song that seems to mix Bevis Frond and John Lennon, and includes a raw heavily wah'd guitar that I loved. "Where's Mr. Dave?" is similar, and "Fall" is a song I really liked that is very much in the Bevis Frond mold, though very much Nick's own. There's some nice wailing psych guitar soloing throughout the song against a heavily fuzzed backdrop. "Pine City" is a little different being Bluesy, soulful, and a bit lounge jazzy. The title track is without a doubt the best song on both CD's. We're treated to killer multiple and ultra trippy guitar/sitar parts and a beautiful melody on this tune that would be right at home on Magical Mystery Tour. Absolutely definitive in terms of song oriented psychedelia. Another one of my favorites is "Unrealized Voyage To Hammerfest", an excellent psychy instrumental that includes a lot of the orchestral devices the Beatles used to use, but also seems to draw on some of the prog rock influences heard on Psychedelic Juggernaut. "Frobisher Awakening" is probably the most powerful and intense track on the disc. Continually soloing psych guitar and organ dominate, the heavy organ giving the music a potent symphonic feel. And the closing track, "Icebound Wilderness", is the freakiest fuzziest track on either CD, and at 9 minutes this instrumental is the longest. It opens with a ripping fuzzed and looped guitar intro, but quickly transitions into a more rocking, but equally freaky, psych guitar jam. Two guitars travel in tandem... one with a clean trippy Blues rocking sound and other a fuzzed out Hendrix styled assault with all the traditional psychedelic devices. It won't bowl you over but it's a good fun stretch-out tune. 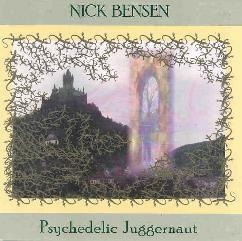 In summary, Nick Bensen clearly has a lot of interests that he has synthesized into what is essentially a psychedelic style. Fans of Bevis Frond and Magical Mystery Tour era Beatles will be delighted, and psych fans who are also into heavy prog will find much to enjoy too. I really enjoyed both CD's but Psychedelic Juggernaut is rawer and seems to be searching for an identity while No Resistance is a more cohesive and much better recorded work. I hope to hear more from Nick.